The Trump curse is real | Poal: Say what you want. His kids are completely retarded, and he knows it. He’s pretty much in the same situation as Robert De Niro. His kids are completely retarded, and he knows it. He’s pretty much in the same situation as Robert De Niro. I had avoided watching the trailer until this evening. And then I watched several reaction videos and everyone is either horrified or just starts laughing. We all knew this was going to be a disaster and that the project was fucked the moment Robin Williams died. 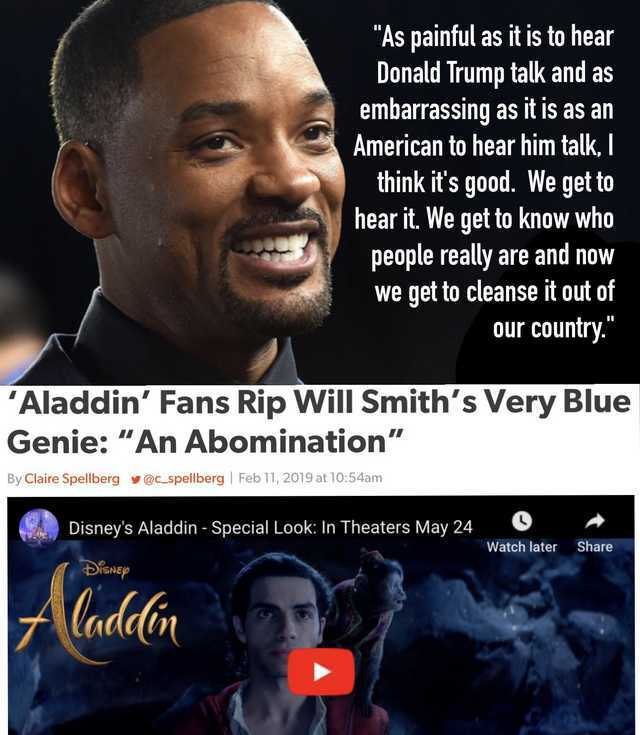 But to cast Will Smith instead of a theater actor that could at least try to play the Genie properly shows how out of touch Disney is.